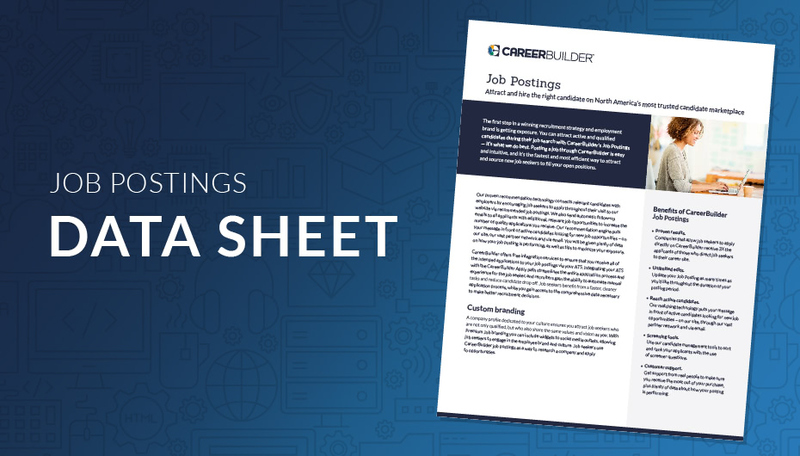 CareerBuilder Job Postings are now powered by Google AI and machine learning, so qualified job seekers can find your job posting faster, more easily than ever. How many positions do you need to fill? Pay Per Job - $375ea. Not Sure Where to Post Jobs? 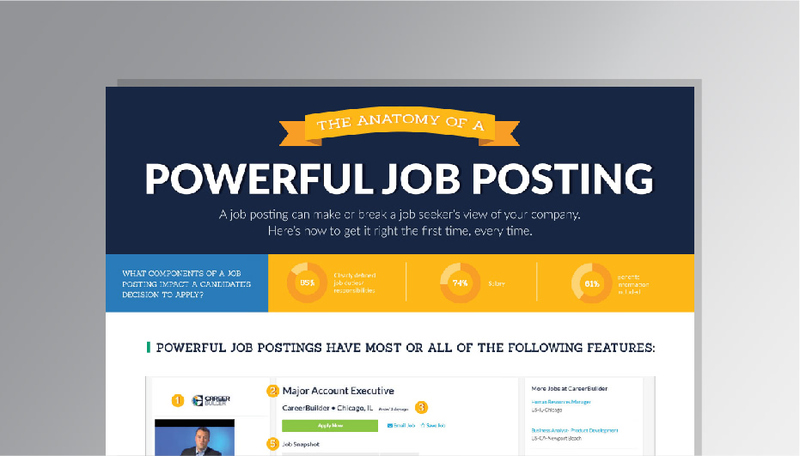 See Why CareerBuilder Job Postings Get You Faster, Smarter and More Affordable Hires. We've teamed up with Google to put the best search technology on the planet in the hands of people who want jobs, and those people in the hands of employers. Companies that let job seekers apply directly on CareerBuilder get 3X the applications vs. companies that don't. Of the top five job boards, employers say CareerBuilder leads the way for the most hires, according to SilkRoad's Sources of Hire 2017. 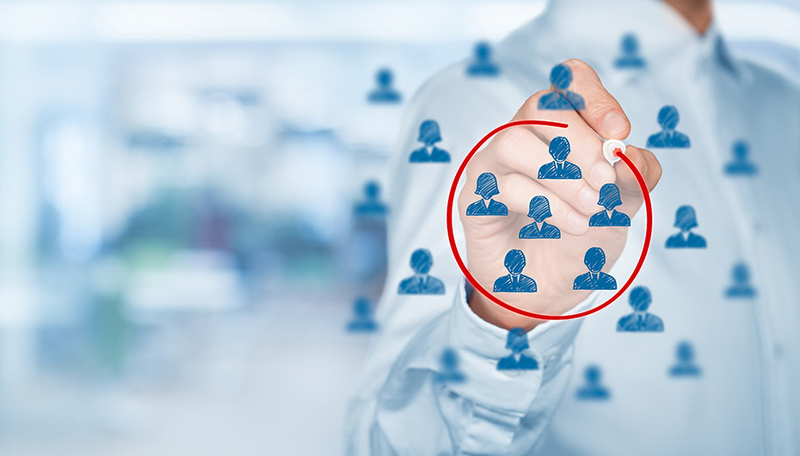 Our massive reach and partnerships with the nation's leading diversity, broad appeal, newspaper and other industry sites bring you the best talent for your recruitment needs. Use the world's best search engine to hire the world's best candidates. 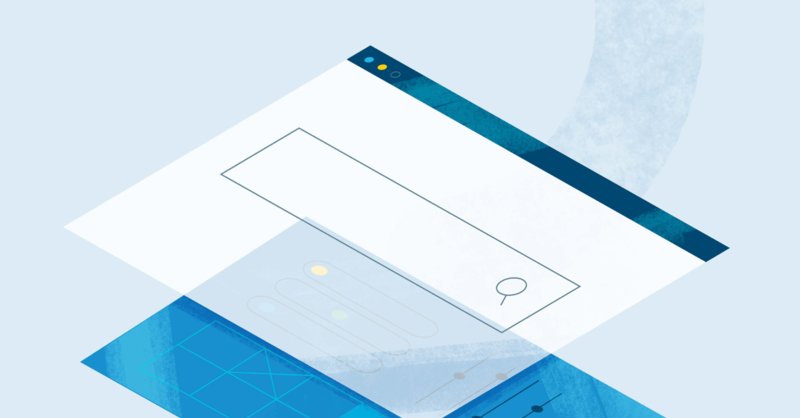 Every search made through our talent network now uses Google's AI and machine learning capabilities, meaning job-seekers get more relevant results, while employers get candidates in their inboxes faster than anywhere else. See how the new standard in job search is enhancing job postings and talent networks. 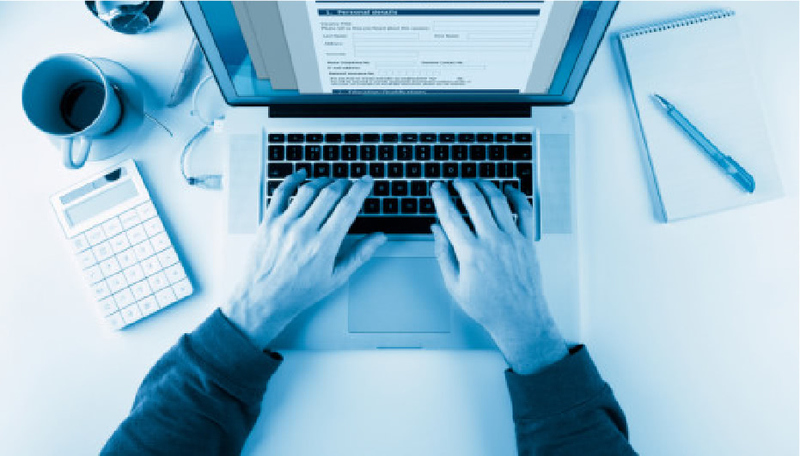 Our matching technology puts your job listing in front of active, qualified candidates to increase the number of quality applications you receive. Automatically send job listings to CareerBuilder and receive trackable applicant information into your ATS. See our full list of ATS partners. Sort and rank your applicants through the use of screener questions. Nearly half of all Job Seeker traffic is on mobile. 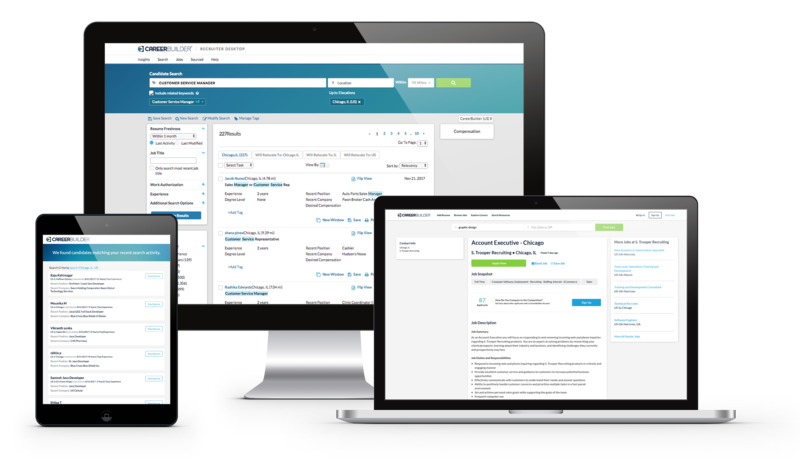 Candidates can effortlessly view and apply to your Jobs from any device. Post your Job in five minutes and update it as many times as you’d like through the duration of your posting period. Opt-in to receive email alerts when new candidates apply to your positions. 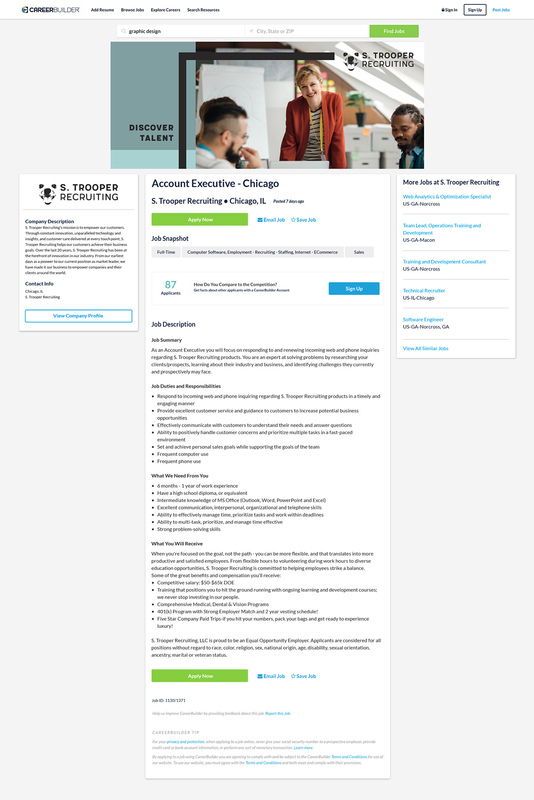 All of the features of our Standard Job Postings plus company logo, video branding, header image and Company Profile page. 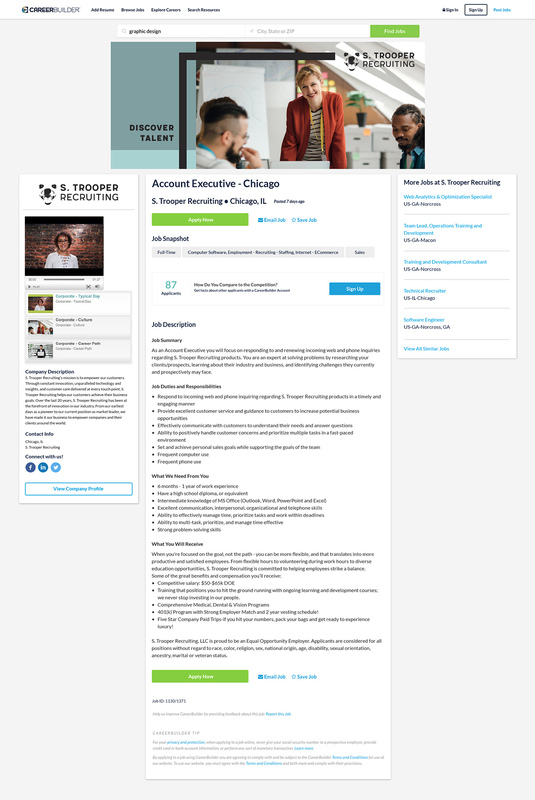 All of the features of our Pro Job Postings plus mobile branding, social media links and the option to animate your header image. CareerBuilder came through for me. I was a hero for finding an awesome employee and saving thousands on headhunter fees. We had a great experience with our job listings on CareerBuilder. We filled both positions within 10 days. We've found consistently higher quality applicants through CareerBuilder than the other services we've tried. If you are looking for a high caliber applicant you will find one through CareerBuilder. Need more than 35 jobs? Talk to us about Pro and Premium Job Postings. We’re available Monday - Friday. What are my payment options? Can I be invoiced? Please call 1.877.345.5256 to talk to a representative and request invoicing. There are two ways to buy, so it depends. Monthly subscription plans renew automatically every month after sign up date until you decide to cancel. For example, if you signed up on September 10th, your next billing cycle will start on October 10th. Renewals will be charged to your credit card on file. Each Pay Per Job purchase is a one-time payment. We offer pricing breaks when you buy jobs in bulk, and you'll have up to 12 months to post any unused jobs. No. If you decide to cancel your monthly plan, it will be canceled at the end of the subscription period that you chose and you will not be billed again. You can cancel at any time by visiting our subscription cancelation page. One of our representatives will contact you within 3 business days to confirm cancelation. Make sure you cancel prior to your billing date to avoid any unwanted charges. Your account will be canceled effective on your next billing date. When your account is canceled you will no longer have access to your candidates, Jobs, and Resume Database, until you re-subscribe. How many Resume Database views do I get? You'll get 50 views per day for one user. If you need additional views or users, please contact us for details. One of our representatives will contact you to go over your options. How many resumes are in the Resume Database? We have 125M resumes in the United States, and growing. How do targeted candidate emails work? Standard and Pro monthly Value Plans include candidate emails that boost your Job Postings, delivering them straight to job seekers' inboxes. Learn more and how to send Job Boost emails here. When will I get to create my Job? Once you complete your purchase online, you will be taken to the Job Posting form where you can fill out your Job Posting. Please note, if you purchase a monthly subscription with Resume Database access, there may be a delay before you can access your Job Postings while we verify your order. If I buy more than one Job, do I have to post them all at the same time? No, if you choose to pay per job instead of purchasing a monthly subscription plan, you have one year from your date of purchase to use your Job Postings. When will my job be live on the website? There may be a delay between when you complete the posting process and when your Job Posting goes live on our website. For the safety of employers and job seekers alike, our security team does a thorough review of Jobs before they are posted to the site. Can I post my Job in other cities? When posting a Job, you will select the city and zip code where the job is located. The Posting will appear in searches within a 30-mile radius of the location you list. Do you have national or regional jobs? If you would like your Job to be posted to a larger audience, we do have National, Regional and State postings. For more information, please contact our Sales team at 1.877.345.5256.